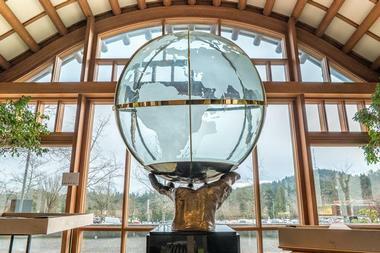 The World Forestry Center (WFC) in Portland is an international non-profit organization that is dedicated to educating the public about the importance of forests and sustainable forestry. 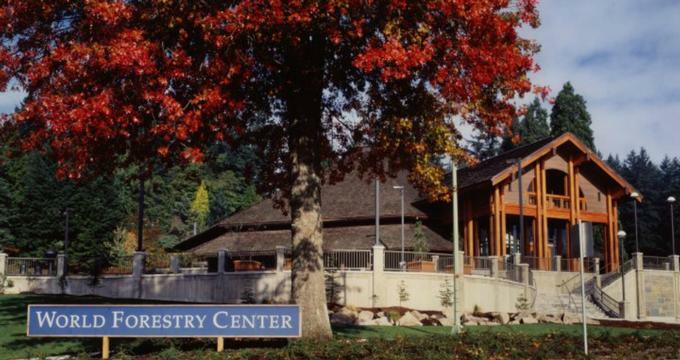 Founded in 1966, the World Forestry Center provides critical programs and presentations in forestry and related fields that are aimed at the convention and professional development of practitioners and global leaders. One the main programs run by The World Forestry Center is the renowned World Forest Institute Program, which involves hosting both public and private forest professionals from all over the world with the aim of promoting knowledge exchange and advancing research. The mission of The World Forestry Center's is to inform, inspire and educate the public about the world's forests and trees, and the important role they play in daily life to promote a balanced and sustainable future for all. The center achieves this mission through three programs: the Discovery Museum, two hands-on working forests—the Magness Memorial Tree Farm and the Johnson-Swanson Tree Farm—and the World Forest Institute. Another important program of the Center is the International Fellowship Program. 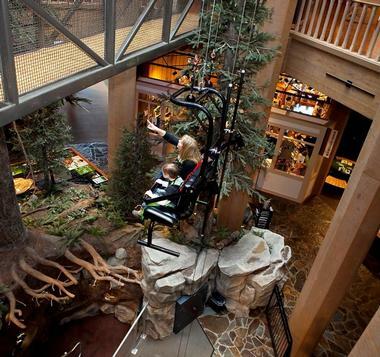 The World Forestry Center is home to the World Forestry Discovery Museum, which was opened in 1971 to educate the general public about local and global forests and sustainable forestry. Located in Portland’s beautiful Washington Park, the 20,000 square foot museum features an array of exciting and informative exhibits and displays, an art gallery and a unique tree farm. All of these encourage visitors to become informed, educated and inspired by the importance of forests and trees in the world today, as well as environmental sustainability. The Museum also offers a range of year-round classes and workshops for students of all ages and educational field trips for school groups. 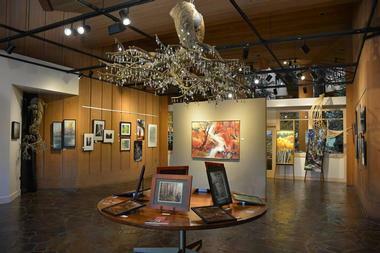 The Art Gallery features six local artists from Oregon whose works are inspired by trees, showcasing their geographical, social and historical contexts and include a variety of media such as prints, drawings, and paintings. The World Forestry Center campus has a beautifully preserved 42-ton Lima Shay geared locomotive named “Peggy” in the display for visitors to explore. Built in 1909 by Lima Locomotive Works, the engine spent her life working as a log hauler in forests of Washington and then Oregon for more than 50 years, survived the Tillamook Burn and after retiring was donated to the City of Portland. The World Forestry Discovery Museum also features an ancient petrified Giant Sequoia tree stump that dates back five million years and weighs close to 10,000 pounds. The petrified tree stump was found in North Dakota and donated by Lew Smith of Smith Rock in Portland. The Discovery Museum also has an amazing collection of cut and polished petrified wood from other trees showing many different ages. Nestled in the Chehalem Mountains of the Willamette Valley, the Magness Memorial Tree Farm is one of two internationally recognized, hands-on demonstration forests that offer visitors an interactive and hands-on approach to environmental learning. This educational project offers visitors an ideal chance to learn more about the internationally recognized demonstration forest and the outdoor education site. The Memorial Site is open to the general public from dawn to dusk, year round and features a network of hiking trails, sheltered picnic areas, forests, streams and meadows in which to relax and enjoy. The World Forest Institute was established by the World Forestry Center in 1989 to meet a growing demand for information about forestry and environmental sustainability. The World Forest Institute was founded by the pioneer of the forest products industry, Harry A. Merlo, whose vision was to globalize the forestry sector and encourage an exchange of information on forest trade, regulation, management, and forest resources on a global scale. The World Forestry Center is located at 4033 SW Canyon Road in Portland and is open Memorial Day through Labor Day daily from 10:00 am to 5:00 pm. The Center has several venues that can be hired for special occasions and celebrations such as weddings, workshops, corporate events, and get-togethers. The World Forest Institute offers the International Fellowship Program which is a week-long professional development field course offered to experienced leaders in research, education, strategic communication, and natural resource management who are committed to active learning and teaching about the world’s forests. 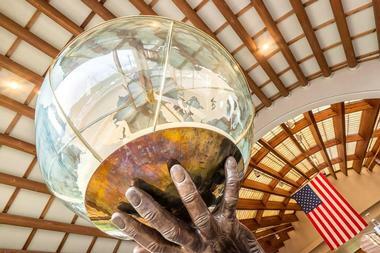 The World Forestry Center is also home to the Leadership Hall of Fame, which honors the people who have made significant contributions to forestry by displaying the photographs and biographies of more than 200 forestry leaders.